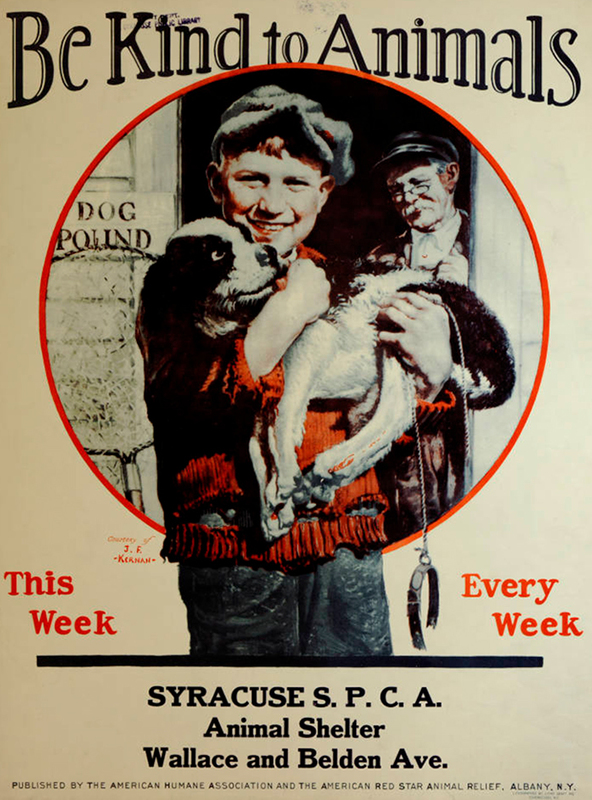 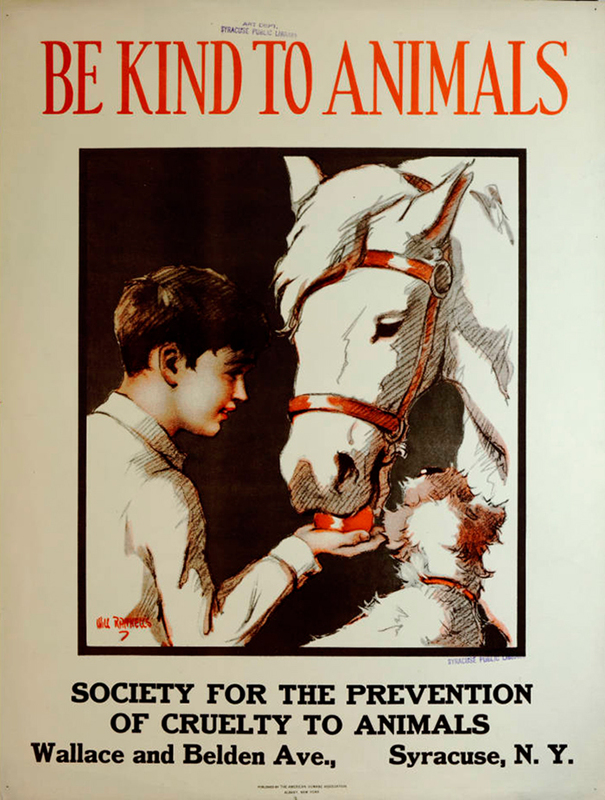 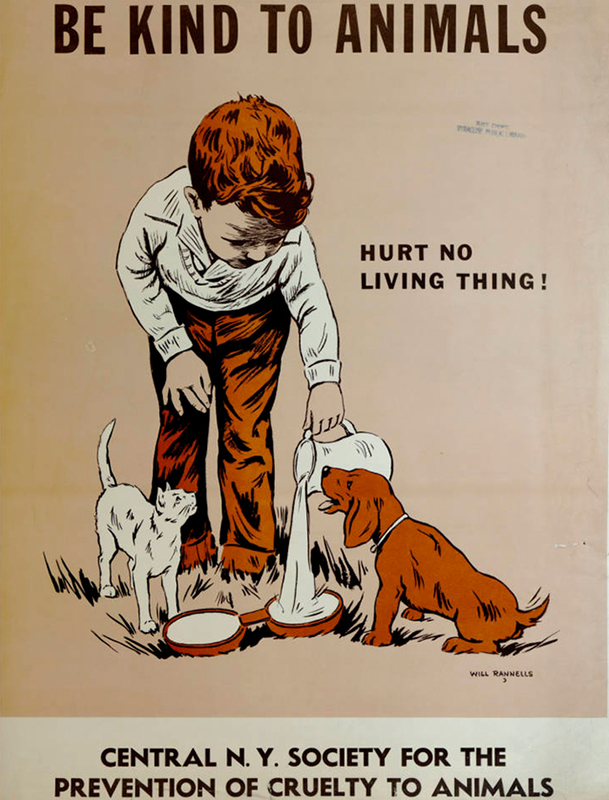 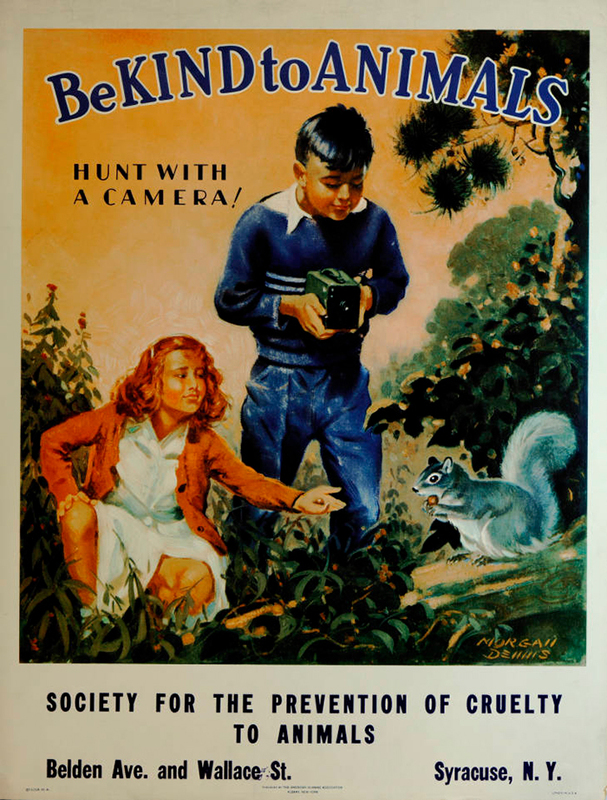 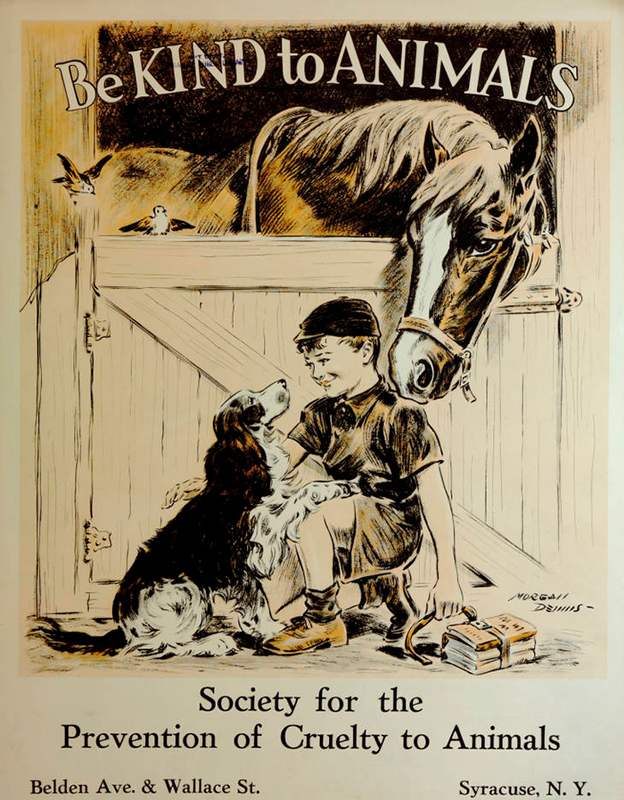 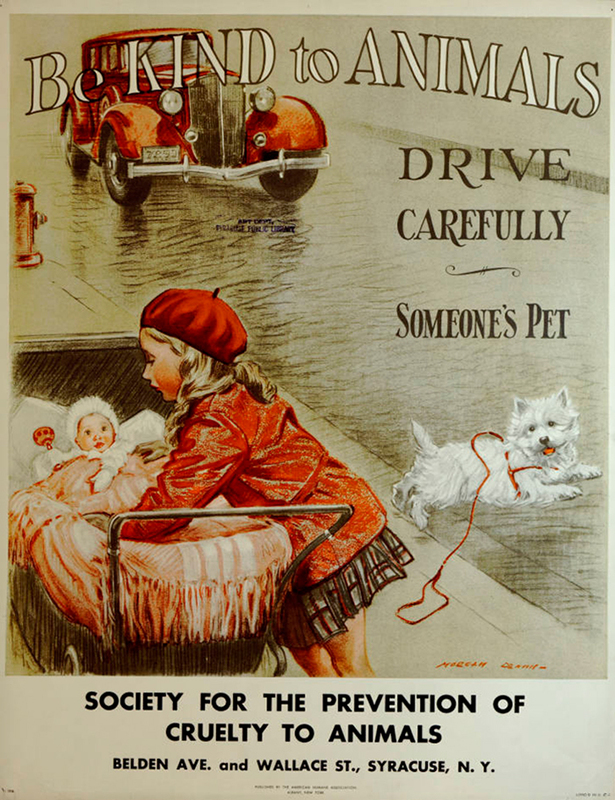 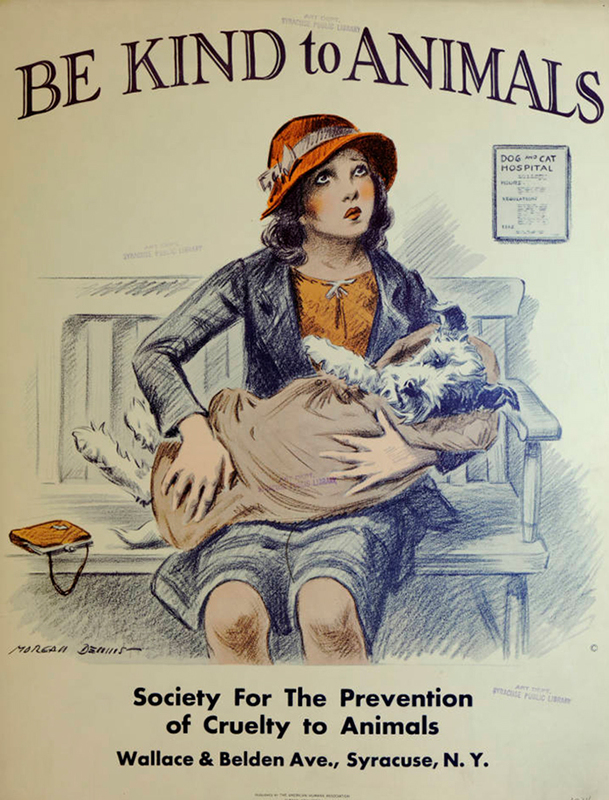 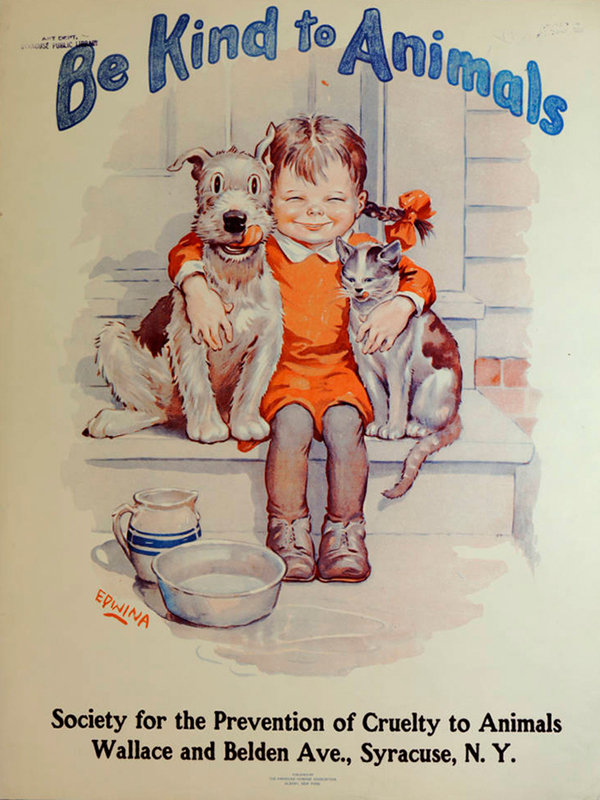 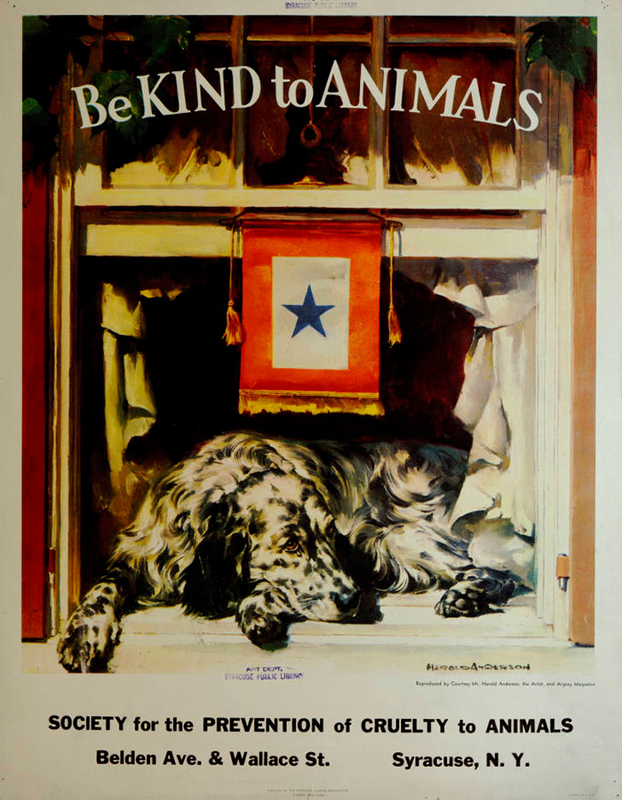 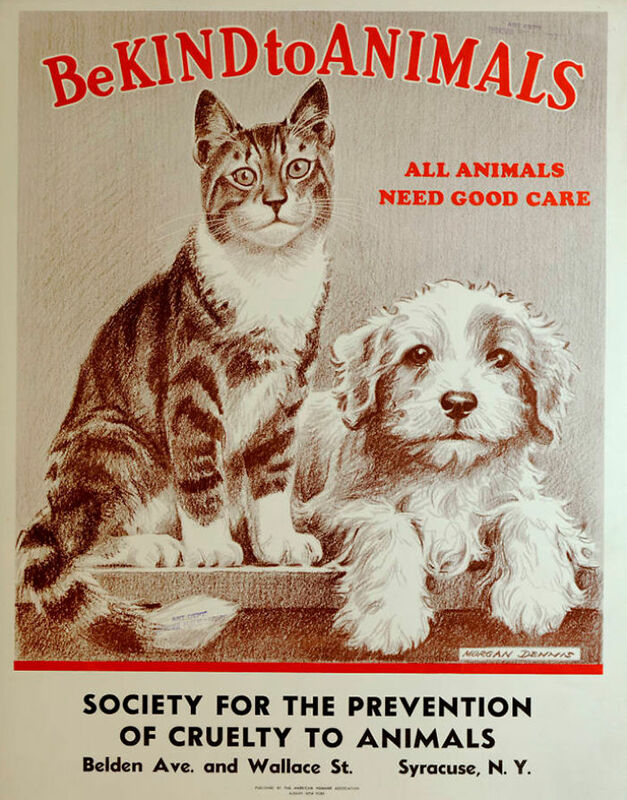 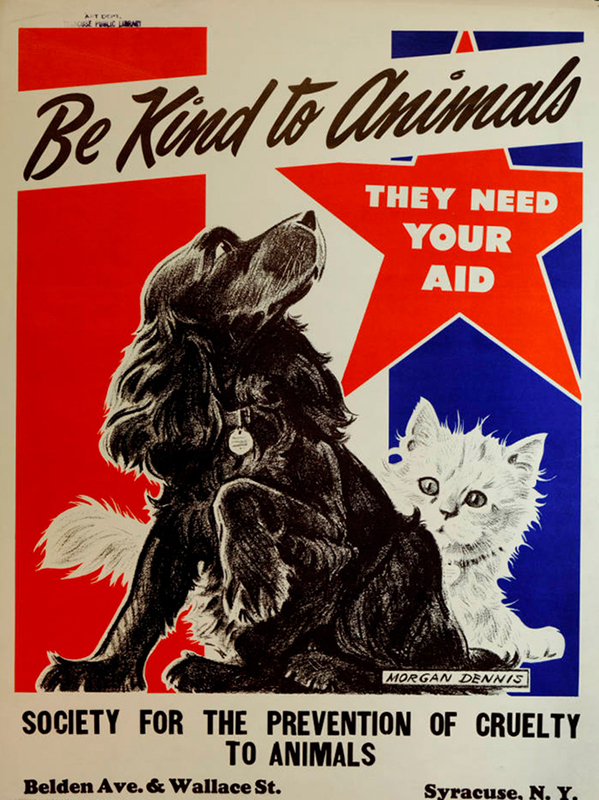 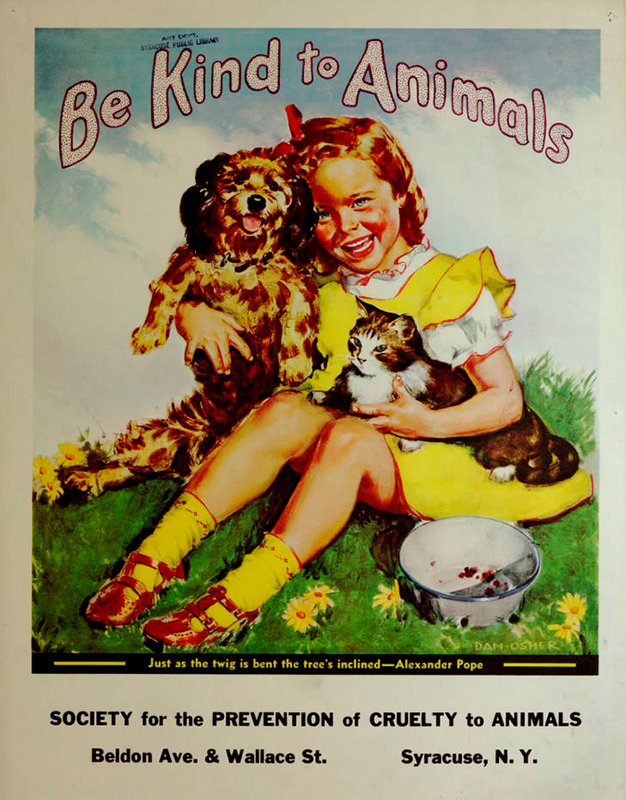 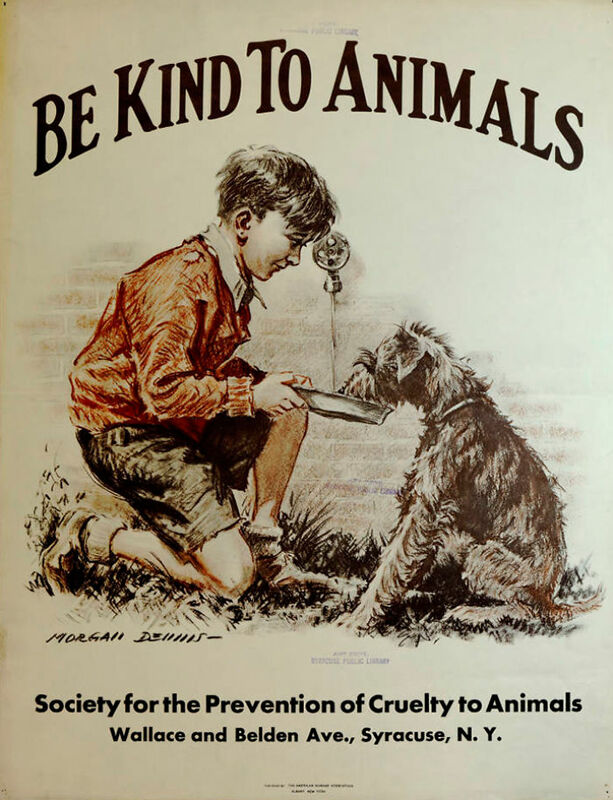 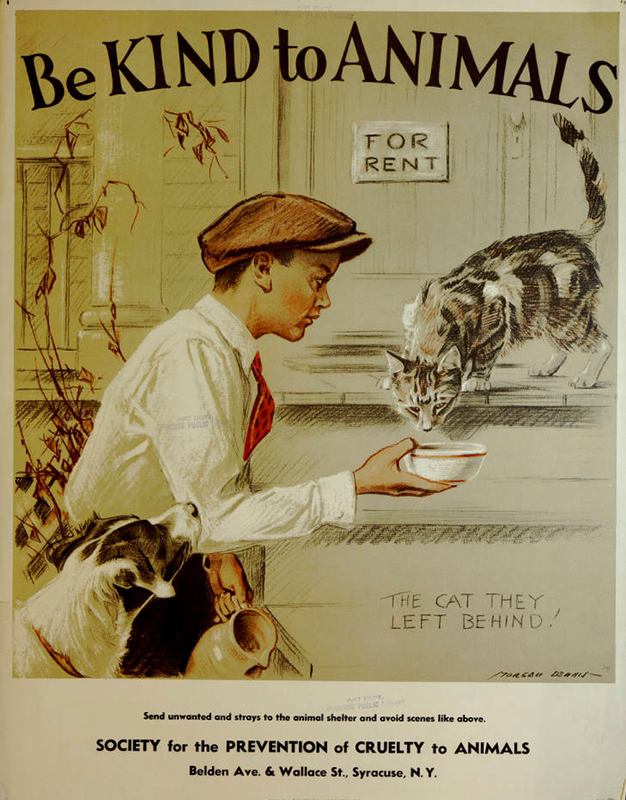 During the 1930s, a “Be Kind To Animals” week was organized by the American Humane Association where they shared posters of animal caregivers. 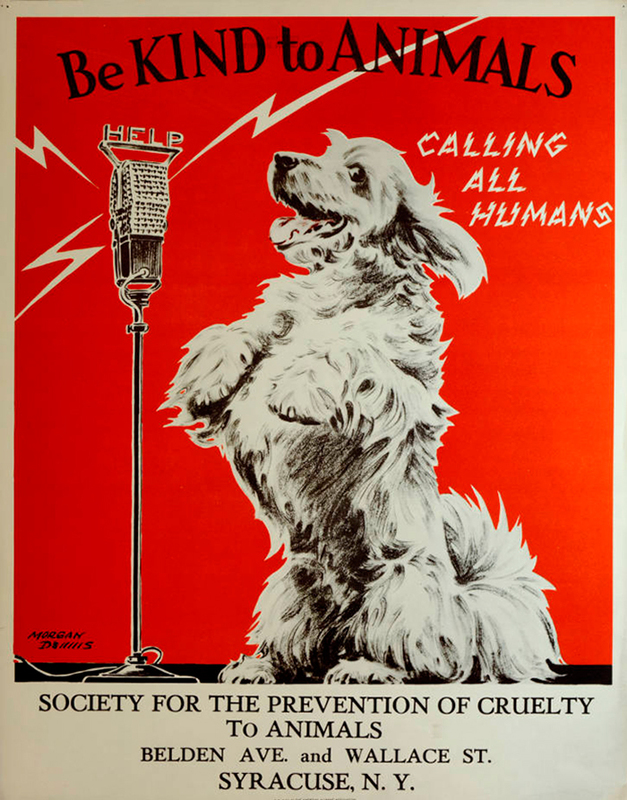 These cute posters were done by artist Morgan Dennis, known for his drawings, especially of dogs. 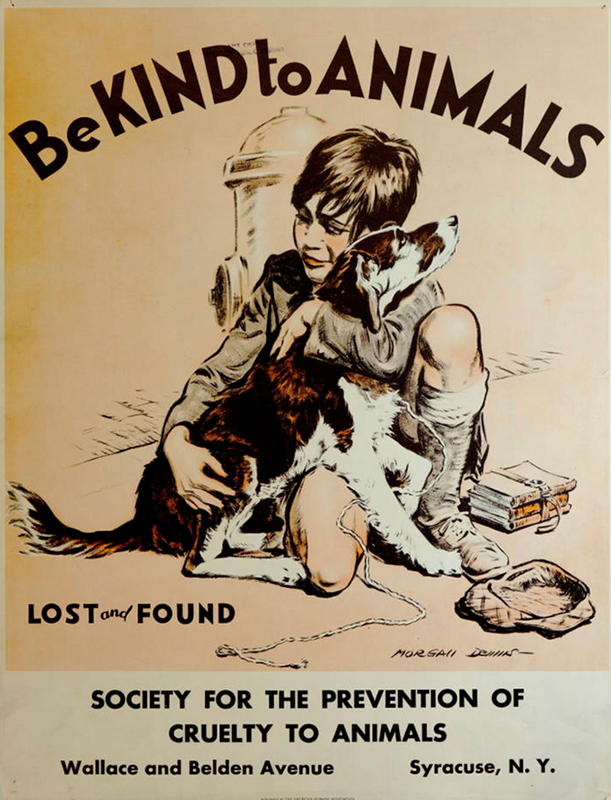 Each poster had an example of an animal being taken care of by a friendly child. 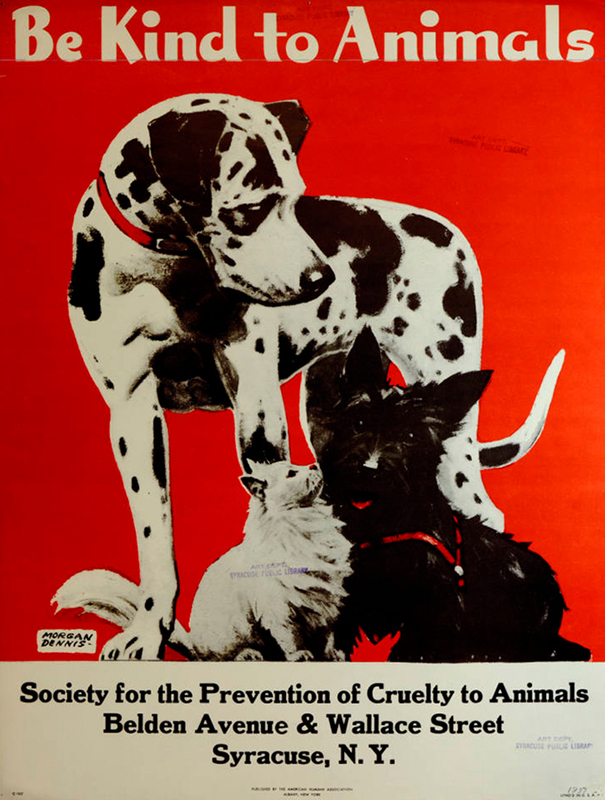 The posters ‘ main goal was to spread the message that people should love animals and respect them.